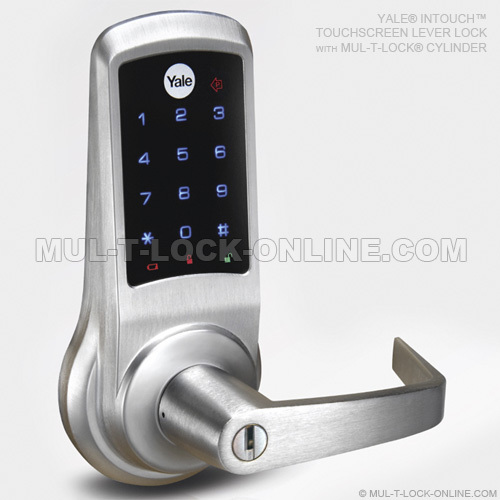 Mul-T-Lock offers Yale® touchscreen locking solutions with patented, high security cylinder override options. The InTouch™ Grade 1 solution offers a durable, weather-resistant, standalone and simple yet sophisticated design for commercial applications. Choose this smart solution to secure offices, stores, warehouses and more, including any application which might require multiple user codes for keyless entry and/or high lock usage.